Many bugs are dormant over the Winter months. Once Spring arrives, they are back in full force. While you are working on Spring yard projects, remember to practice some preventative pest control. Head pests off at the pass before they can invade your home and garden. Taking steps now will keep you bug-free in the Summer months ahead. Whether you choose chemical or natural pest control, you can take steps to boost their effectiveness around your home. Here are a few suggestions on where to begin. Remove standing water and fix leaks – Don’t give mosquitos a place to breed. If you have a water fountain, treat it with drop-in mosquito pellets. Keep your pump working because moving water does not allow them to lay eggs. Clean gutters – Avoid letting leaves block downspouts by cleaning them twice a year. Remove yard debris – Fallen piles of leaves and tree branches are prime hiding places for mosquitos and other pests. They also spread mold and fungus throughout your garden. Seal your home – Look for cracks in your foundation, around windows and exterior pipes. Bugs can use these to enter the home. Replace old door seals as well. Deny access to food – Hang bird feeders away from the house, keep pet food in airtight containers and make sure garbage cans have properly fitting lids. Fence your garden – Install a wire fence around your vegetable garden. Cover large openings – Use wire mesh or hardwire cloth to cover openings like attic fans and roof vents. This will keep squirrels out. Check chimney caps to see if they need to be replaced. Pests are attracted to moisture. By eliminating leaks or other moisture issues you can solve the majority your insect problems. Start by inspecting your crawlspace and foundation for moisture seepage. Seal any cracks with caulk or compound cement. If you have a drainage problem around your foundation, consider re-grading the landscaping to drain water away. Channel downspouts in a new direction. Treating around the perimeter of your home with insecticide is one way to stop bugs from entering your home. Though many products claim to be safe for humans and pets, use caution when applying. Keep children and pets inside while spraying and then for a couple hours afterward to allow the chemicals to dry. Plant Lavender or Rosemary near your patio or deck to ward off mosquitos. Sprinkle Cinnamon in a child’s sandbox to keep ants out. Mix white vinegar and water to spray on spiders and their webs. Carry dryer sheets in your pocket to keep mosquitos and gnats away. Sprinkle citrus peels around plants infested with mites or spiders. Grapefruit rinds attract slugs; once they take hold you can throw them in trash. Crushed Basil in your cabinets will deter cockroaches. Use Ladybugs to get rid of aphids on your roses. If you want to up the ante, invite natural predators like swallows, finches or even bats to share your garden. Install a bat house in a tree away from your home. Bats sleep during the day and hunt for insects at night. You will probably never see them, although you may notice a decrease in the number of mosquito bites you endure. Be proactive in fighting pests this year. A few changes around the house can make all the difference. Take the time to treat for bugs now and keep them in check. Enjoy this Summer pest-free. This is your home, show those bugs who’s boss. From sprayer tanks and insect foggers to ladders and bobcats, our expert staff is ready to help you protect your home from pests. Looking for a natural way to battle bugs? 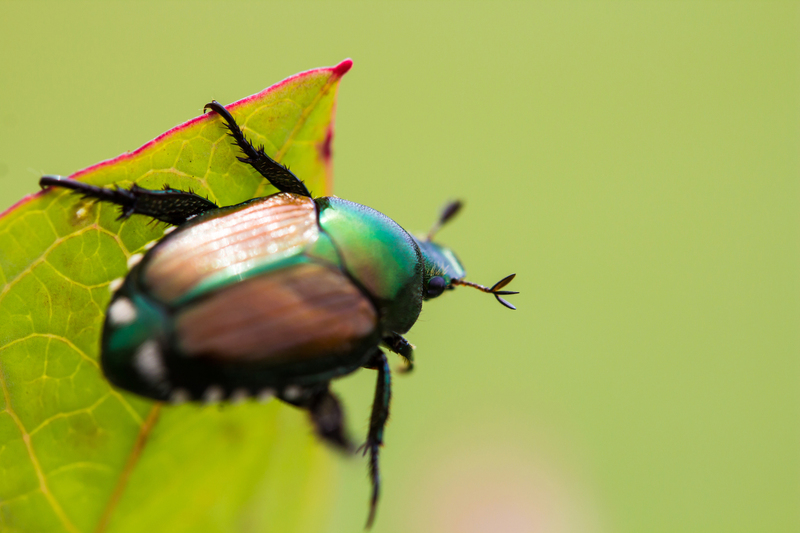 Our blog, Keeping Critters at Bay Part 3 – No Poison Pest Control, has plenty of helpful, non-toxic suggestions for preventing bugs. As always, if you have any questions about what to choose, pricing or how-to’s, don’t hesitate to contact us. Stop by our store — we’re open seven days a week.